다비치의 타이틀 곡 ‘편지’가 오는 12일 자정(0시)에 공개된다. 다비치는 타이틀 곡 ‘편지’가 잔잔하고 애절한 발라드 곡이기 때문에 정오(낮12시)가 아닌 자정(0시)에 공개하기로 했다고 이유를 밝혔다. 다비치는 ‘안녕이라고 말하지마’ 이후 2년 만에 전해성 작곡가의 ‘편지’를 들고 컴백 소식을 알림과 동시에 멤버 이해리와 강민경의 폴라로이드 이미지도 함께 공개했다. ‘편지’는 웅장한 오케스트레이션과 어쿠스틱 기타 선율과 시적인 슬픈 가사가 어우러져 늦가을 눈시울을 적시는 가슴 먹먹하고 애절한 발라드 곡으로 한번 들으면 다비치의 음색과 멜로디가 기억에 남을 정도로 중독성 강한 곡이다. 다비치는 올 한해 ‘거북이’, ‘둘이서 한잔해’, ‘녹는 중’ 그리고 ‘오늘따라 보고 싶어서 그래’ 등을 연속 히트시키며 음악차트를 장악했다. 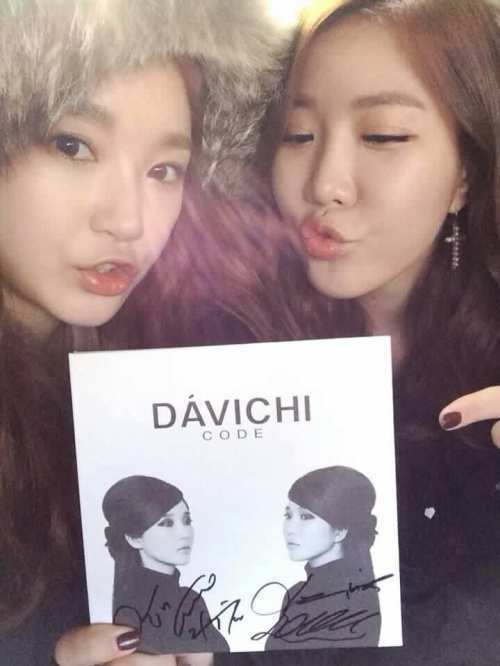 The title song of Davichi ’A letter’ will be opened this coming 12 at midnight. Davichi said why they will open the song at midnight not at noon. It’s because that the title song ’A letter’ is a calm and mournful ballad. Davichi announced the news of their come back with the song ’A letter’ of a composer, Jeon Hae Sung in 2 years after ’Don’t say good-bye’ and opened Polaroid pictures of Lee hae Ri and Kang Min Kyung together. ’A letter’ is mixed with magnificent orchestra and acoustic guitar and poetic sad lyrics. It’s a stunning and plaintive ballad. And it’s a highly addictive song to such an extent as to remember the tone and melody if we listen to this once. Davichi made success of ’Turtle’, ’Just the two of us’, ’Be warmed’ and ’Missing you today’ and others continually and held on the music charts.